On October 26th, 2017, JMSA held its second Journal Club. The event was facilitated by JMSA board member and ophthalmologist, Dr. Kichiemon Asoma, and organized by Shoko Mori, a fourth year medical student at SUNY Downstate College of Medicine and 2017 JMSA scholarship recipient. The Journal Club was attended by both familiar and new JMSA student members. Attendees included medical students, a dental student, and a pharmacy student from schools in the NYC and tri-state region. Dr. Asoma facilitated a discussion regarding two recent journal articles on diabetic retinopathy and age-related macular degeneration. Dr. Asoma also shared his path to ophthalmology and a typical day in the life of an ophthalmologist! The conversations were enjoyed over soba noodles at Soba Azuma in Midtown. 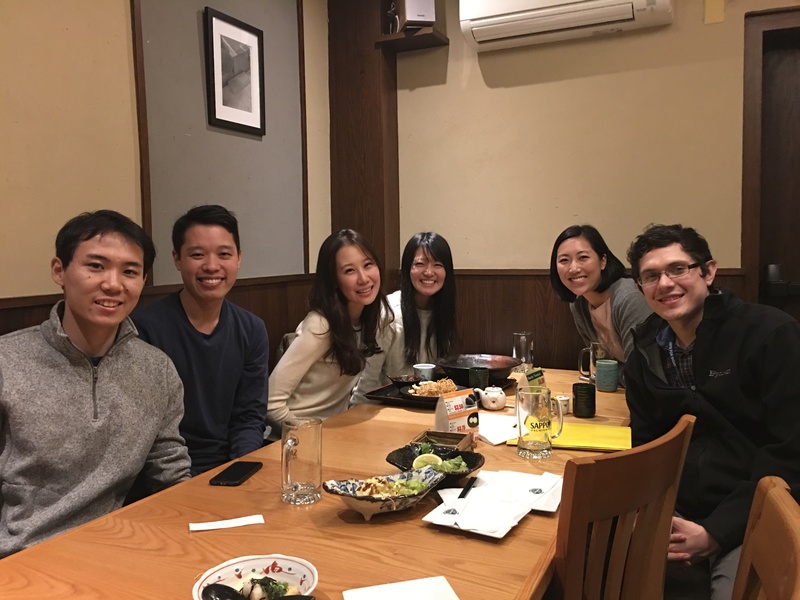 JMSA hopes to continue to provide a forum for students to meet each other, and to meet physicians, so we hope you join us at the next JMSA Journal Club!